Now MSPs and IT departments can select which Kaseya incidents trigger OnPage high priority messaging to individuals or groups via a secure application on their mobile devices. Users can also monitor delivery of alerts as well as responses in real-time from within the Kaseya console. OnPage’s Alert-Until-Read™ technology assures no more lost alerts that waste valuable time and money. API integration provides the fastest, most secure, and most robust capabilities of OnPage priority alerting from within the Kaseya console. Kaseya VSA users can quickly and easily implement a deeper level of integration with OnPage by installing the OnPage HUB API Client Module. This module, installed by downloading and installing an OnPage supplied Python script, enables the addition of OnPage as a notification method in the Kaseya console. VSA users can then select OnPage as an option for automatic alerting of user-specified OnPage clients based upon notification settings within Kaseya. Communications with Kaseya is via web service calls to the Kaseya HUB API. 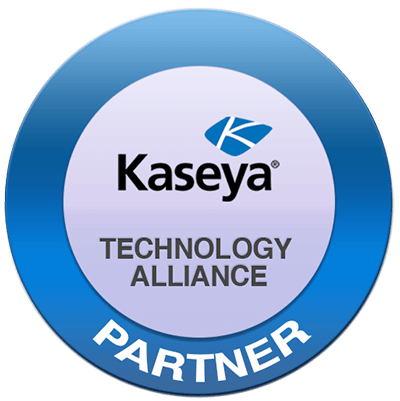 API Integration provides a seamless interface between Kaseya VSA and OnPage. Communications between the systems are handled using the Kaseya VSA API and the OnPage Connect2 framework. With API level integration Kaseya incidents and/or tickets automatically create OnPage alerts to the proper recipients based upon user-defined triggers. In addition, the APIs allow for implementation of OnPage’s round-trip messaging, which provides real-time feedback of the status of all messages to the Kaseya service desk. Kaseya VSA users can monitor all outbound alerting including message sent, message received, message read and replies. The complete audit trail of not only message status but incident resolution activities appear in the relevant ticket. Email integration provides Kaseya VSA with an immediate, no code required drop-in solution that bridges current VSA email notifications with the OnPage platform. By simply designating an OnPage ID email address in Kaseya, the systems will be linked. Kaseya users can monitor all priority messaging created by Kaseya VSA in the OnPage console.